I have never bought this product before but will try them. They did not fit me so I gave them to a friend and they fit her so she kept them. She fell in her shower about a month ago due to the tile in her shower, she really likes them. I had a pair of these years ago and they were so comfortable I wore them around the house instead of slippers. The ones I just purchased are the opposite of the ones I had years ago; the elastic is so tight it causes pain! They really don't have to be that tight. I hope the makers read this change how tight they are. I returned these slippers because I found better ones. These were too large even for my husband's size 12 feet. Their soles were not as grippy as the other pair we had. They did not seem safe for him to wear so I returned them. Fiverglass showers in my new dwelling are slippery. I need an extra pair/laundry. We go to bath houses in RV campsites and wanted to feel protection against any athletes foot or other fungus that may be in shower stall. Love these no slip shower slippers. Wear them when I stay away from home. My friend and I purchased these slippers many years ago to wear in the shower at the spa. They lasted for many years and did not slip on the tile. This will be my second pair. My husband is handicap at this time and he needed the shoes not to slip in shower. My husband is 75. Last time we traveled, he had a hard time not slipping in some of the shower/bath floors in Europe. I was determined to find shower shoes that would be light weight and would dry fast. Could not find them locally went searching on the internet and by process of checking many places I finally found what I was looking for. I am hoping it fits. It is for a lady wheelchair bound and cannot stand or walk by herself. She has MS. In going down thru your healthcare items I saw many other things that might help her also. She has limited use of her hands. Will probably be checking on some of those also. We have a camper and use public bath houses at times. EXCELLENT FOR GERM PHOBES AT THE GYM POOL DRESSING ROOM SHOWER. 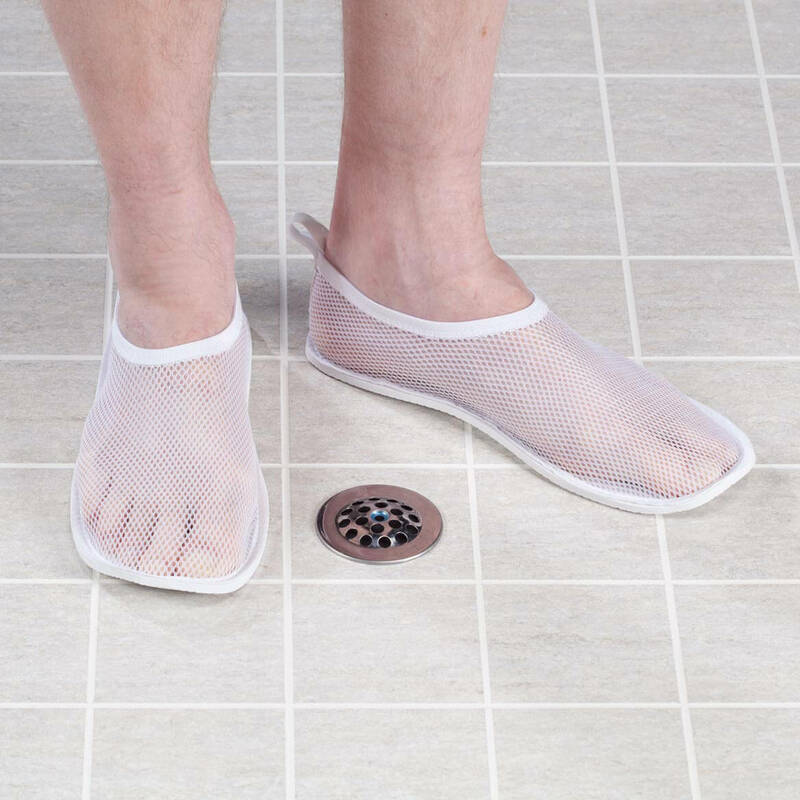 Family member having knee surgery and I thought these would be helpful when she showers. A friend needs to feel secure when showering. 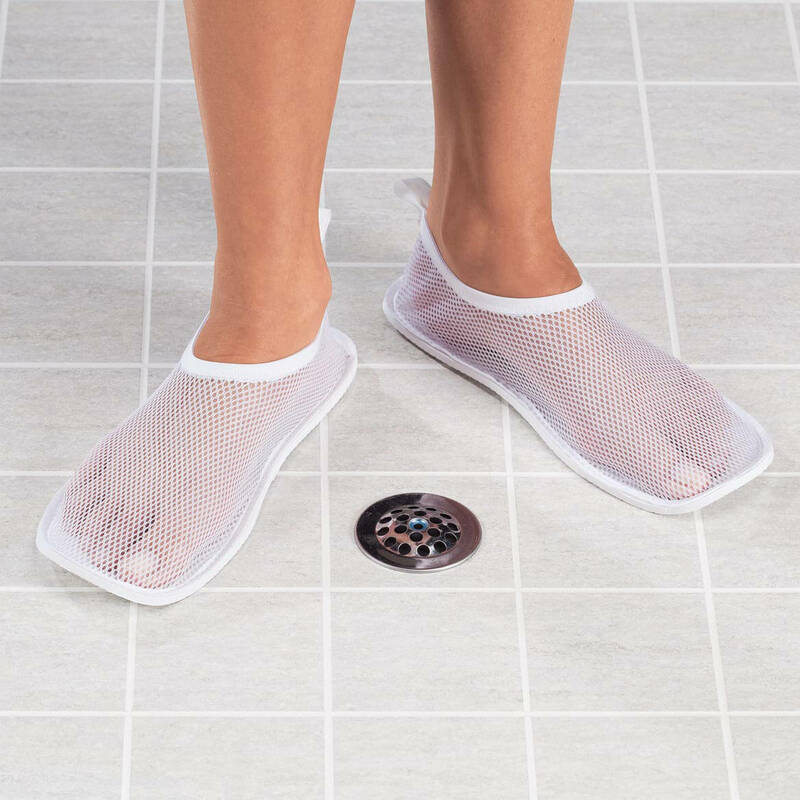 I don't want to slip on the shower floor and can find no clean way to make the surface non-slip so we are trying these non-slip shower slippers. IVE BEEN LOOKING FOR THIS PARTICULAR ITEM AND YOU WERE SURPRISINGLY THE ONLY CATALOG THAT HAD THEM. EVEN DR. LEONARDS AND DREAM PRODUCTS DID NOT HAVE THIS ITEM. THANK YOU. They are the only ones that last. Others I've bought don't even last 6 months without stretching out of shape. I was so happy to see them available again. I used them many years ago, and still have them, but are finally wearing out. My mother is older and is scared to get out of shower in fear of falling so I am hoping these slippers will make her feel more confident when taking a shower. Economical for non-slip grip in showers, pools. Great for hot or shell-filled beaches! Cannot find this item in local store. great for travelling. Bare feet don't touch the surface. Keep feet protected. My 102 year young mother-in-law wants to try them for her shower. My mother wears a 81/2 to 9 shoe and I wondered if a med would fit? BEST ANSWER: Thank you for your question. The Small fits a women's size 6-7, medium fits 7 1/2-8 1/2 and large fits 9-10. We hope this information will be of help to you. what sizes does mens large fit? BEST ANSWER: Thank you for your question. The small fits 7 1/2-9/12, medium fits 10-11 1/2 and large fits 12+. We hope this information will be of help to you. 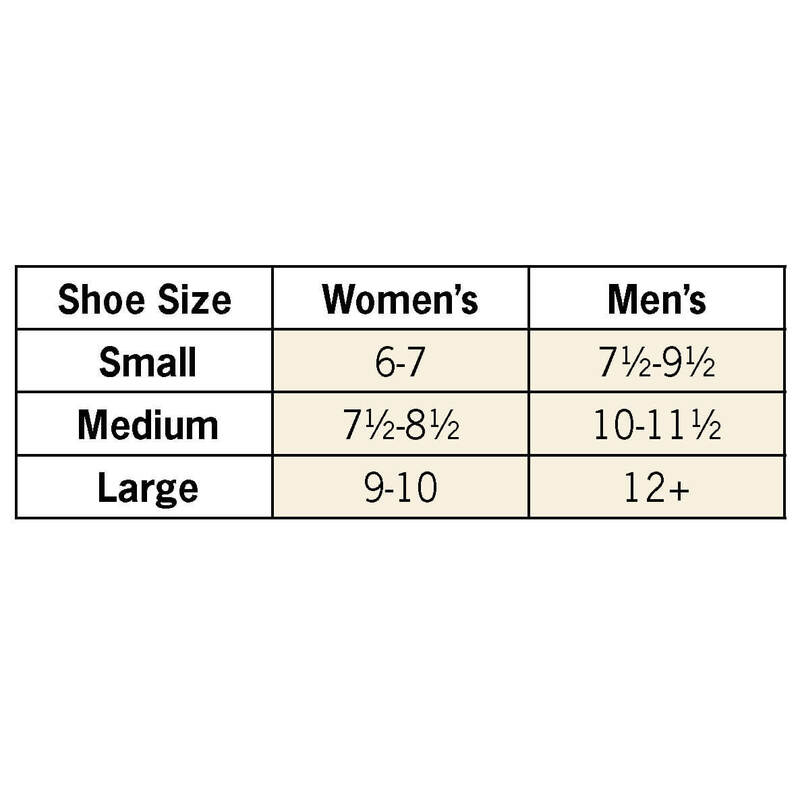 What are the actual sizes for women? there was no chart to go by. BEST ANSWER: Thank you for your question. Small fits women 6-7, medium fits 7 1/2-8 1/2, and large fits 9-10. We hope this information will be of help to you. I wear size 8 in an athletic shoe and purchased Medium in the Mesh Shower Slipper...a perfect fit. How much do these weigh? Looking for ultralight backpacking shoes for in the shower. BEST ANSWER: Thank you for your question. The shoes should weigh less than a pound. We hope this information will be of help to you. Thanks. I need to know ounces since every ounce counts when you can only take 10lbs of gear. These are very lightweight. The rubber soles are less than 1/4 inch thick and the mesh weighs next to nothing. 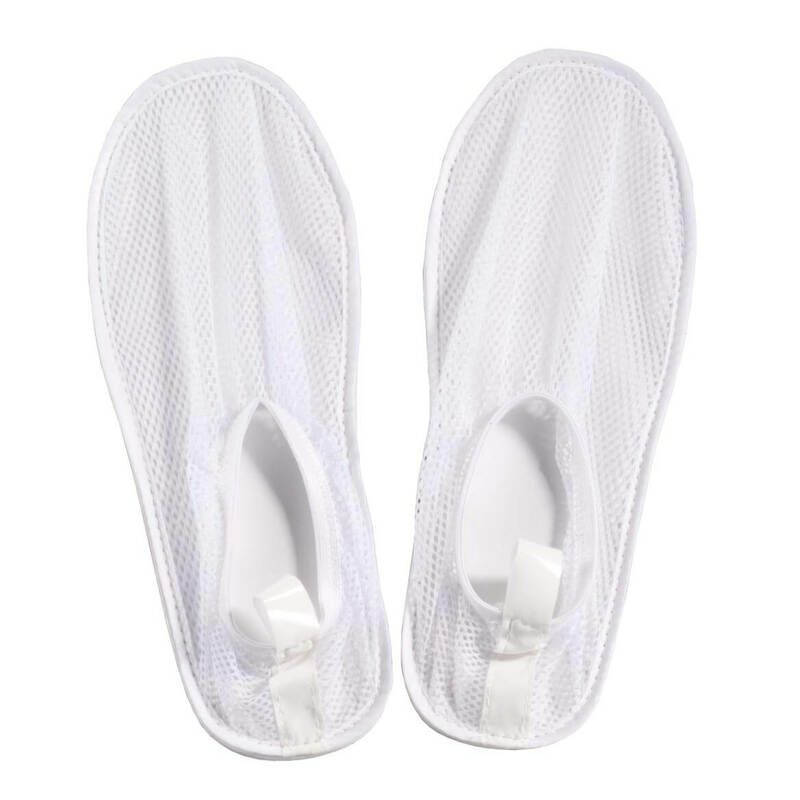 Mesh shower shoes are lightweight, easily flattened, and packable. One pair weighs approximately 2 ounces. Very lightweight. Thank you! That's the answer I was looking for! Now I can buy them knowing they are light enough. Appreciate that!